Tilly and the Buttons: What Would You Like to See on the Blog This Year? Today feels like the first day back at school for me. I’m back home and thawed out from a trip visiting my brother in a very snowy Chicago, and am just about getting over a killer combination of jet lag plus illness. I’ve tidied away the Christmas mess and done my first yoga stretches in a couple of weeks. Pencils sharpened, coffee in hand, and “to do” list for the week prepped, I was mulling over some ideas I’ve been having about new strands for this blog in 2014. I have a loooooong list of ideas for blog posts that I’m excited to start planning and sharing with you. Often these ideas are generated by comments or emails from blog readers, whether remarking on something casually or explicitly seeking advice - I'm grateful to have such engaged readers contributing to Tilly and the Buttons. Today, before I dive in and start prepping new strands, I thought I’d ask you directly if you’d like to give any input – what would you like to see on the blog this year? 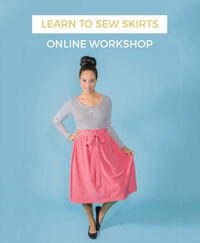 Any dressmaking dilemmas playing on your mind that you’d like to see covered in Hints & Tips? 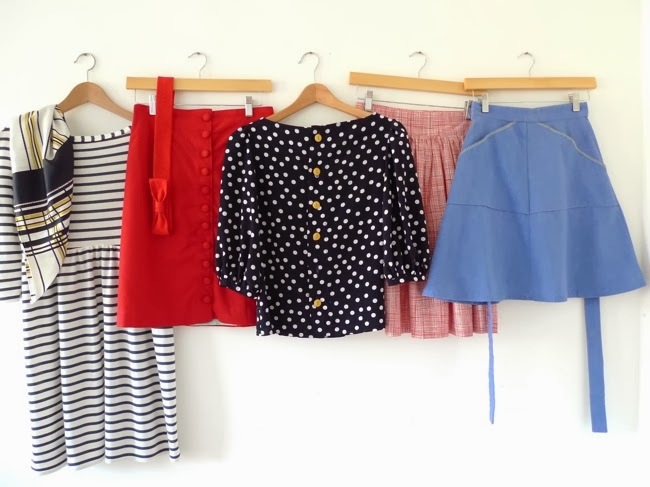 Any techniques you’d love to see added to Learn to Sew? 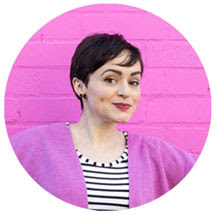 Do you want me to do more pattern hacks and tutorials on embellishing your DIY clothing? Are you interested in me-made styling tips? Anything you’d like to know about what goes on behind the scenes or how I do what I do? Anyone you’d love to see interviewed for A Day in the Life? Would you like to see more videos, more online chats, or some other format of engagement? Or maybe you have an idea for something totally new that you think would be a great fit for Tilly and the Buttons? Let me know in the comments! Thanks in advance for your input – can’t wait to hear your ideas. PS. The eagle-eyed amongst you might note that's a really old image of my blog at at the top of this post - yip, sorry, it's far too dark today to take a current photo!